The latest horror movie of the year is almost here. Are you ready to be sacred by The Nun? 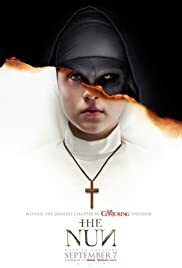 The Nun movie is related to the previous horror movies titled The Conjuring and Annabelle. It is a story which happens before the paranormal events of The Conjuring and Annabelle. If you love to watch horror movie, then The Nun is ready to scare you. The show reveals about a nun Sister Irene who confesses that she always dream of things and ended up seeing an ugly Nun. There is plenty of mystery behind the movie. This is simply obvious that the movie is created to give viewers a scary effect. The movie will also reveal what is going with Carta Monastery due to the fact that the Vatican has heard plenty suicidal reports from their priest and their nuns. The setting of the movie is in Romania, some creepy stories will always happen in that place and The Nun movie just blend with the place. The sound effect and the environment blend together for a great horror movie. This movie is probably not good for fainted-hearted individuals but those who like to scare themselves. Everything about the movie is perfect from the director Corin Hardy, Demián Bichir as Father Burke, Taissa Farmiga as Sister Irene, and Jonas Bloquet as Frenchie.